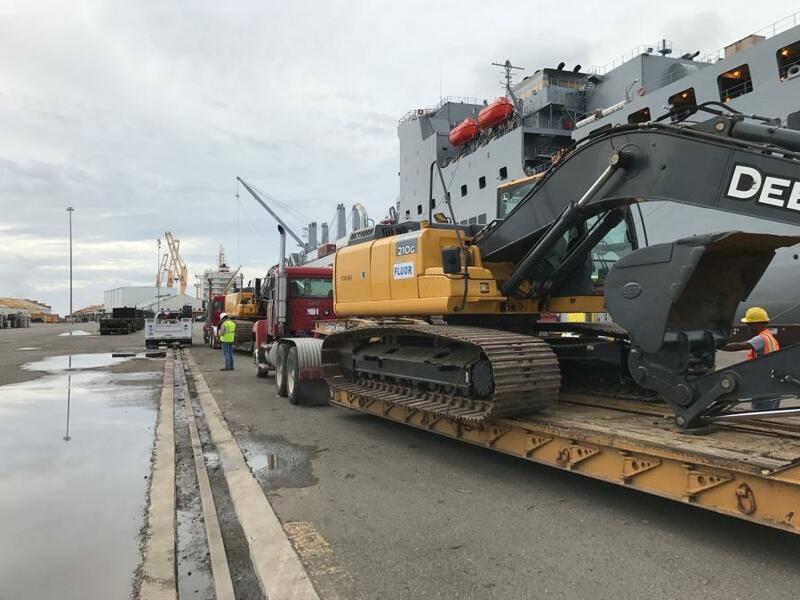 Fluor Corporation announced Nov. 21 the arrival of more than 400 pieces of essential construction and specialty equipment at a shipping terminal in Puerto Rico in support of its ongoing work restoring power there. The equipment, arriving on the USNS Brittin, augments equipment Fluor already has on the ground. It will be disbursed across the northern and eastern regions of the island to support power restoration work on substations and transmission, sub-transmission and distribution lines. The Brittin is one of the U.S. Navy's large roll-on and roll-off cargo ships. It has six interior decks and a cargo carrying capacity of approximately 380,000 square feet. The Brittin departed from Charleston, South Carolina, on Nov. 16, 2017, and arrived in Puerto Rico on Nov. 20, 2017. Fluor is working under contract to the U.S. Army Corps of Engineers, which has been assigned under a Federal Emergency Management Agency (FEMA) mission to help bring electricity back to the people of Puerto Rico. The equipment that arrived on the USNS Brittin brings the number of assets Fluor has on the ground to more than 600. These assets include augers, bucket trucks, fork lifts, earth moving equipment and high voltage vehicles, among others. Additionally, more than 600 Fluor and subcontracted project personnel are working on the island with more on the way.